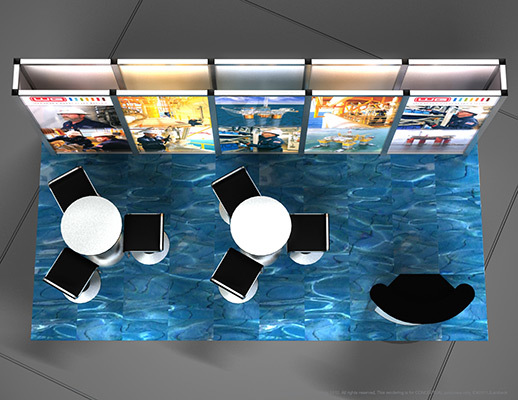 Varying depths in the back wall deliver an attention-grabbing visual aesthetic. 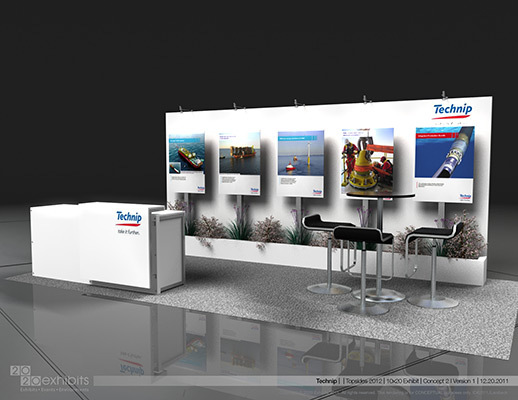 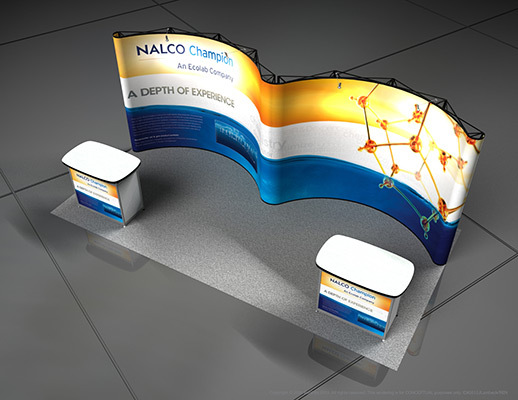 Simple and to-the-point graphics display a degree of professionalism in the design. 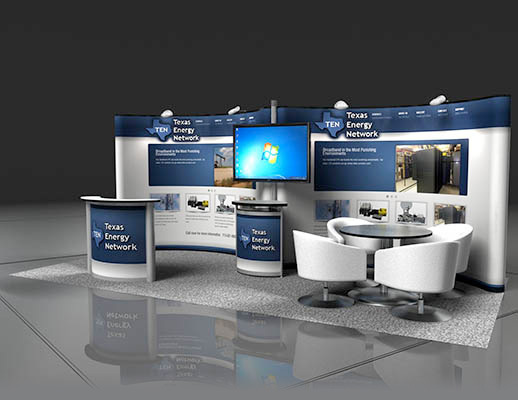 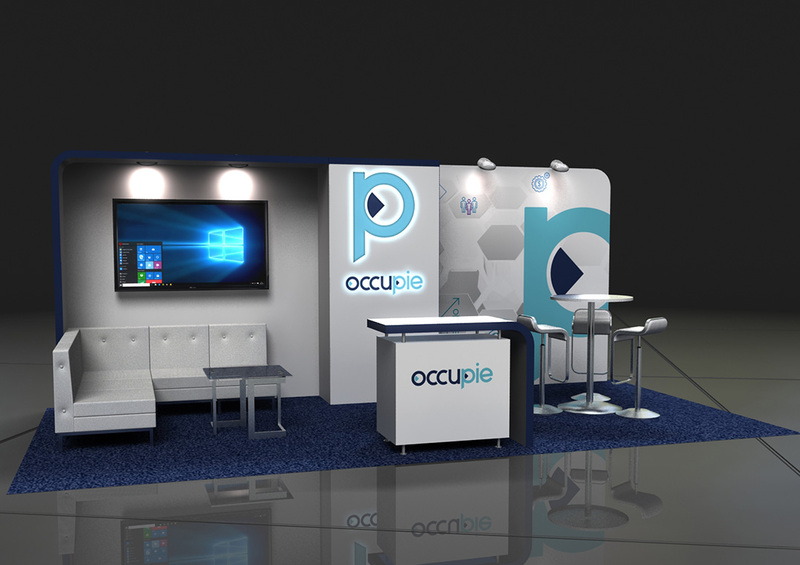 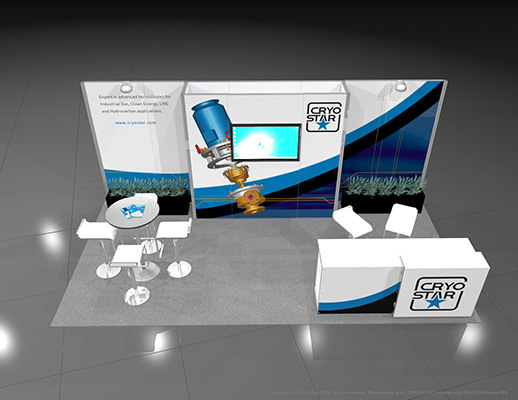 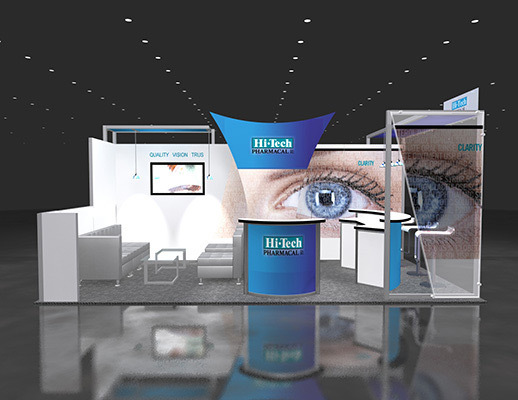 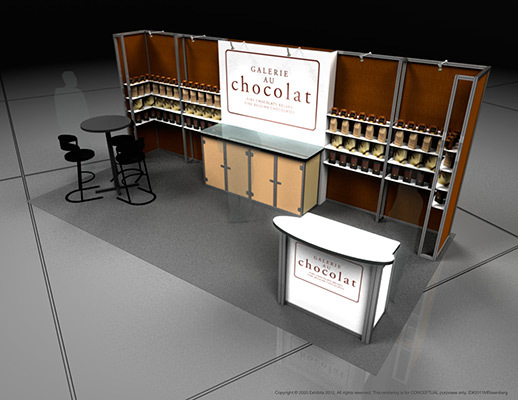 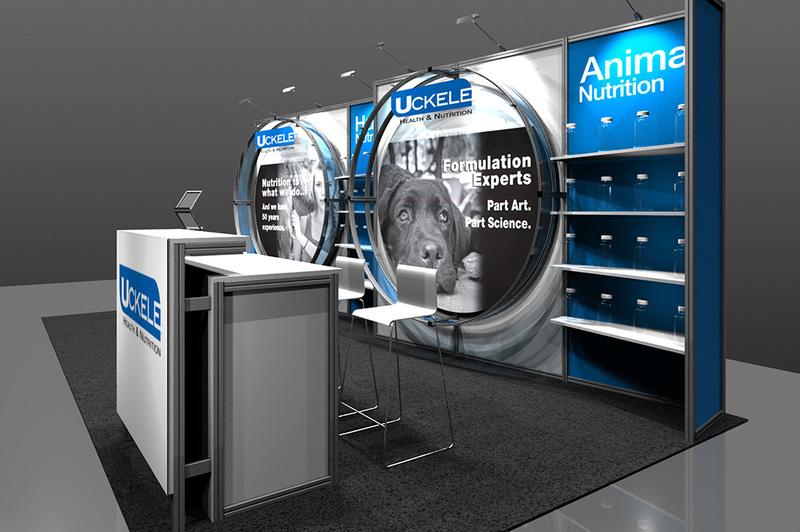 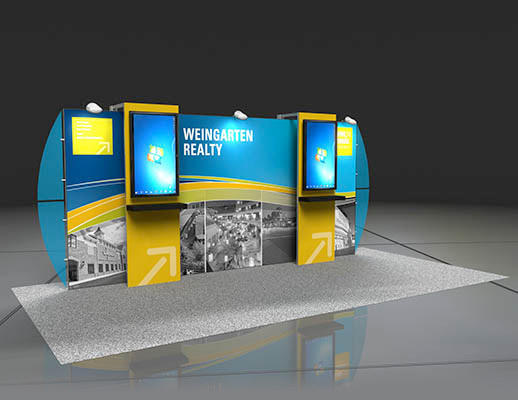 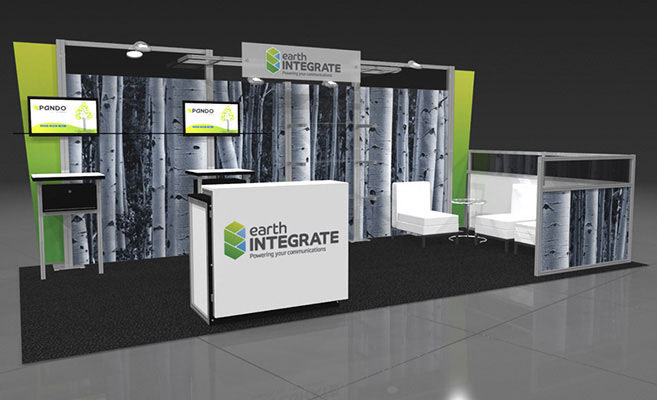 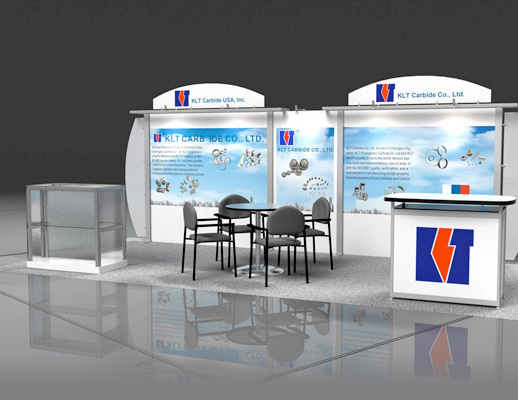 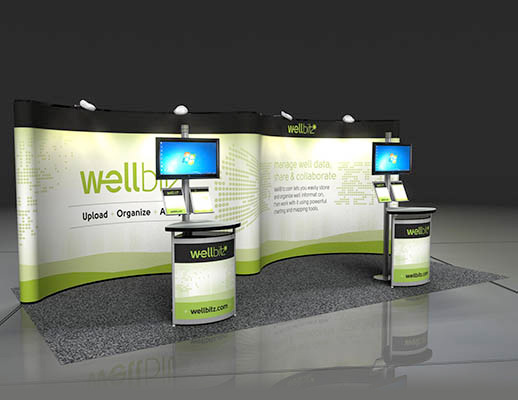 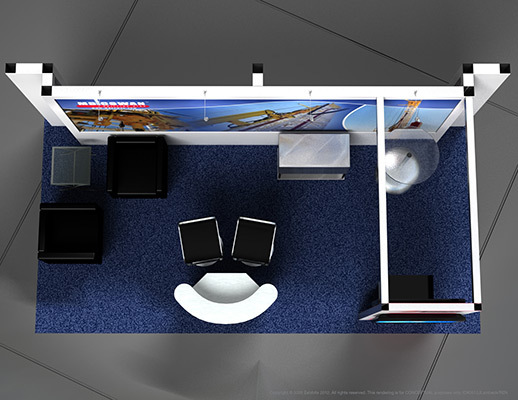 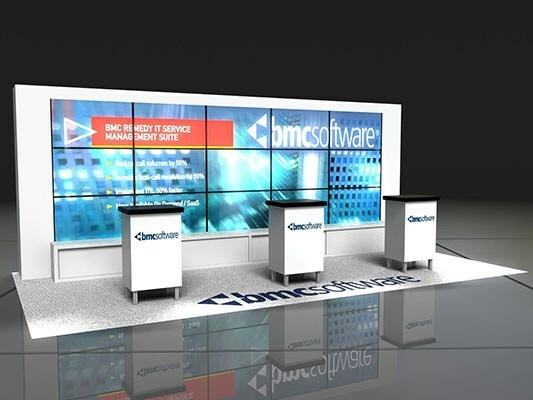 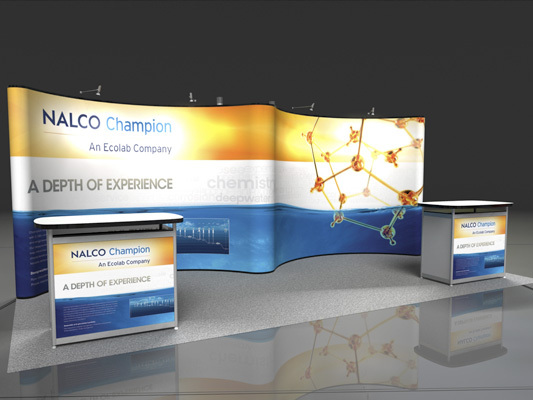 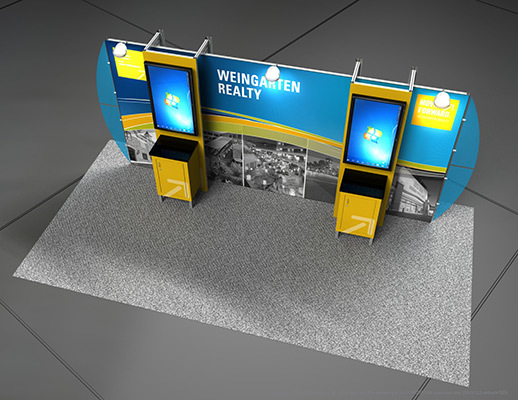 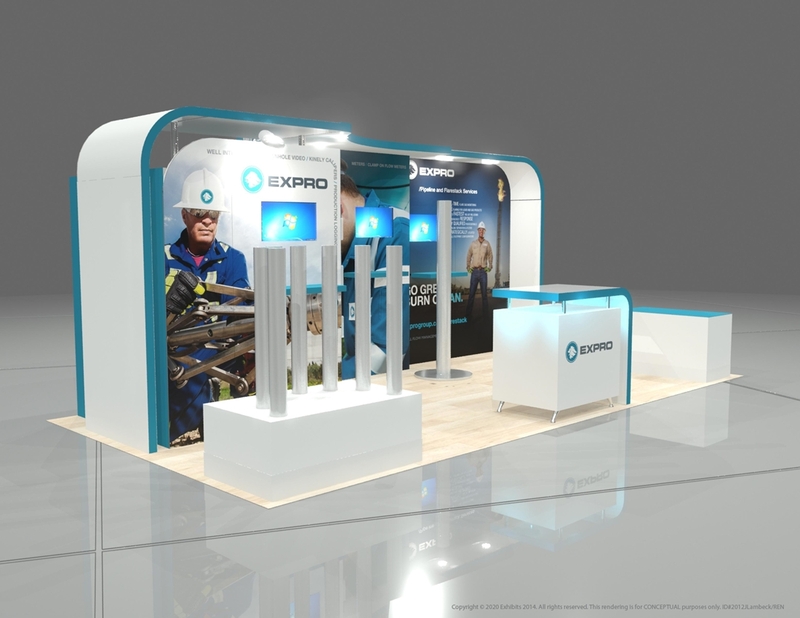 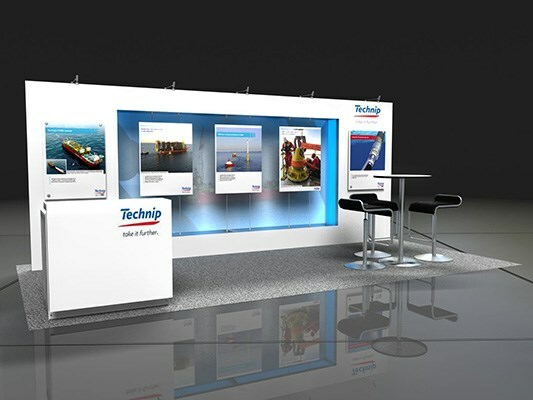 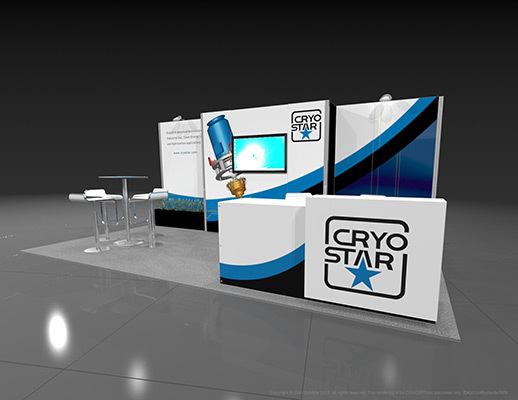 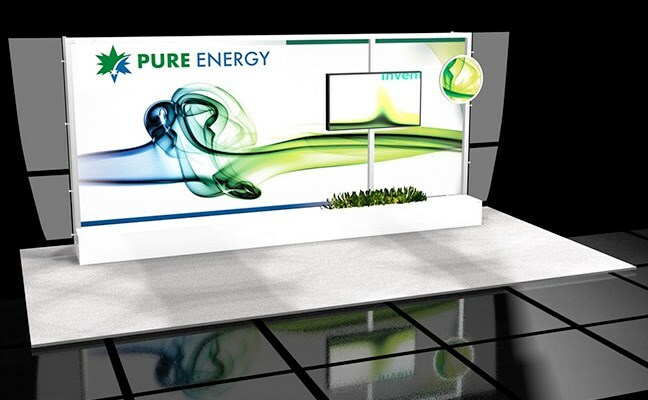 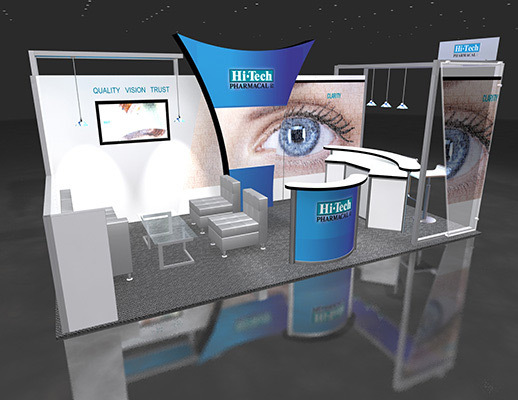 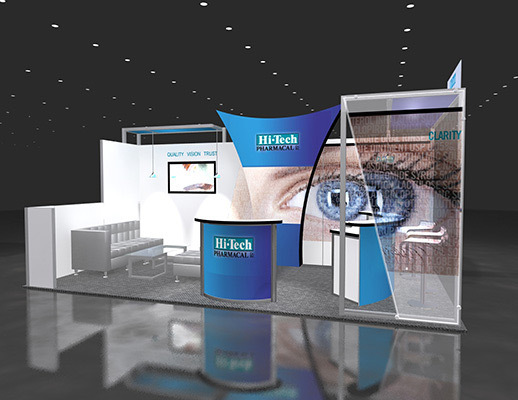 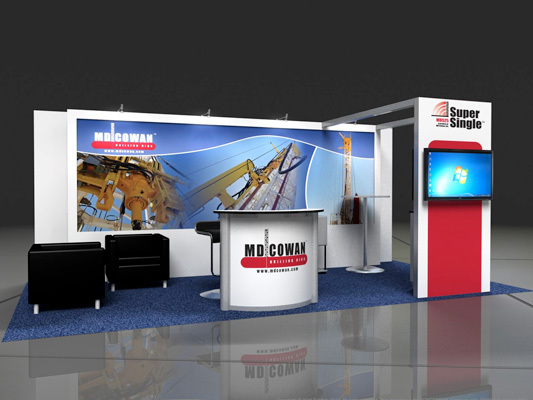 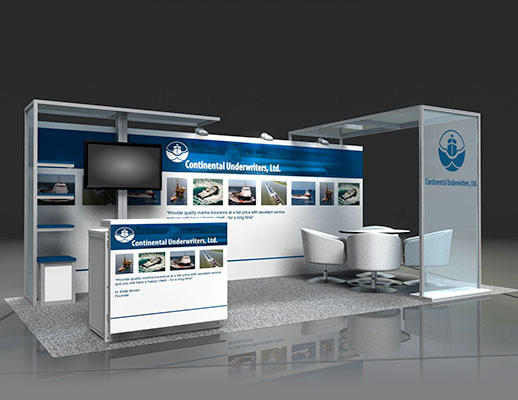 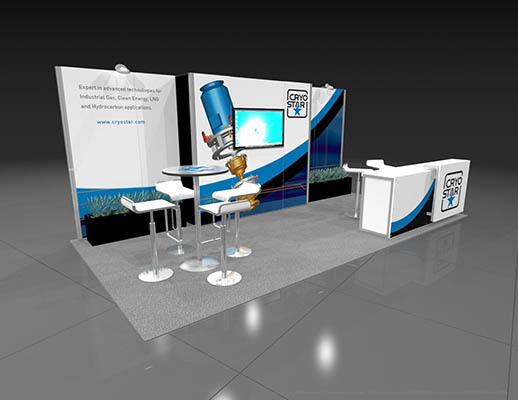 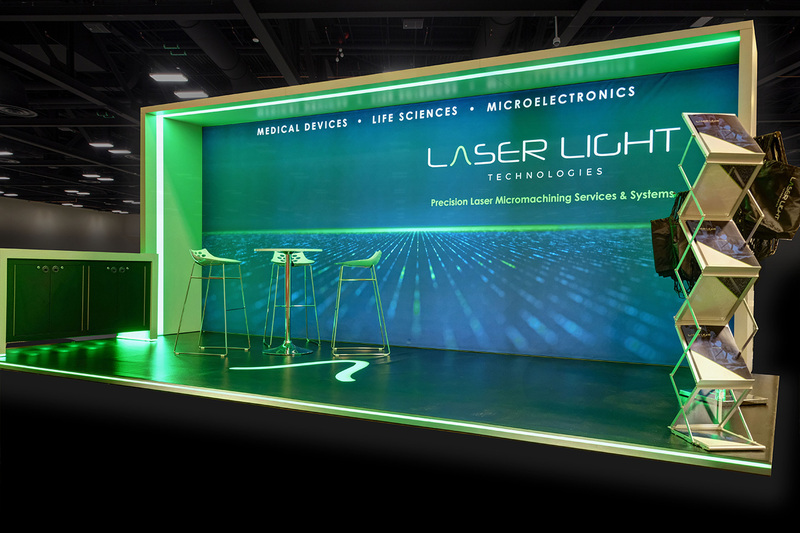 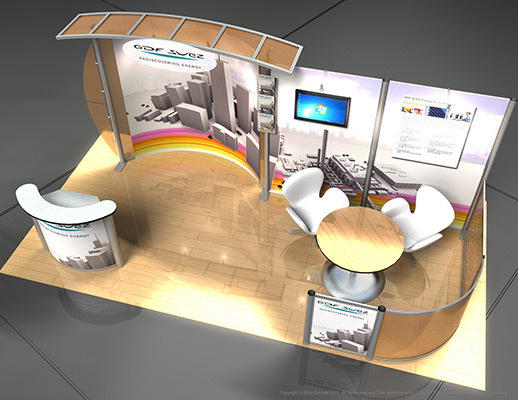 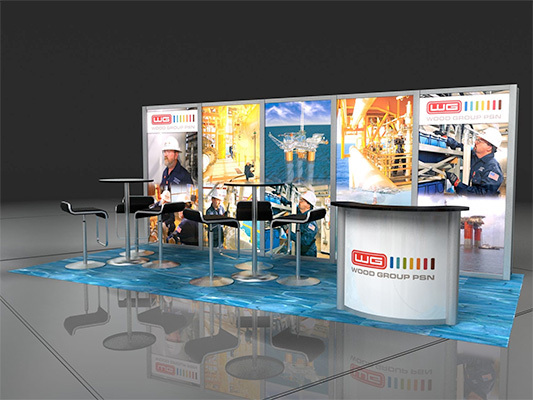 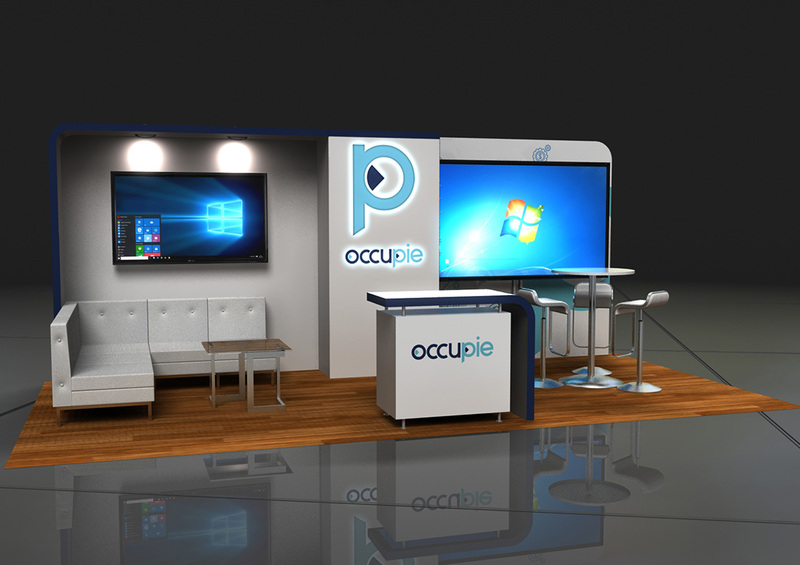 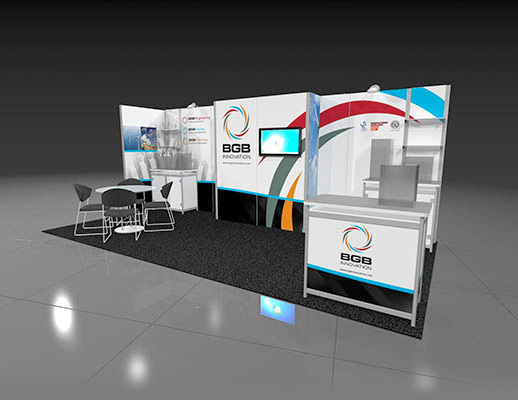 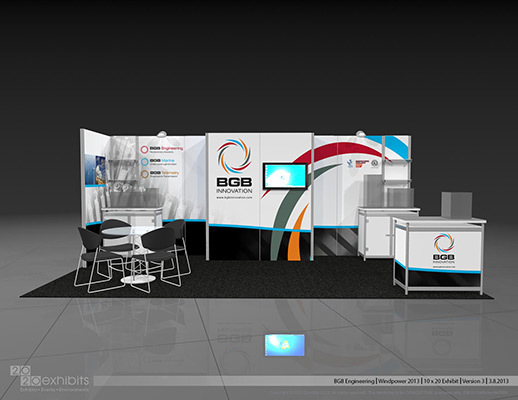 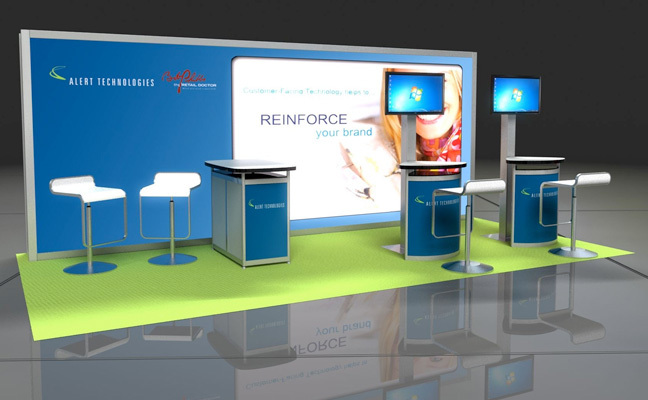 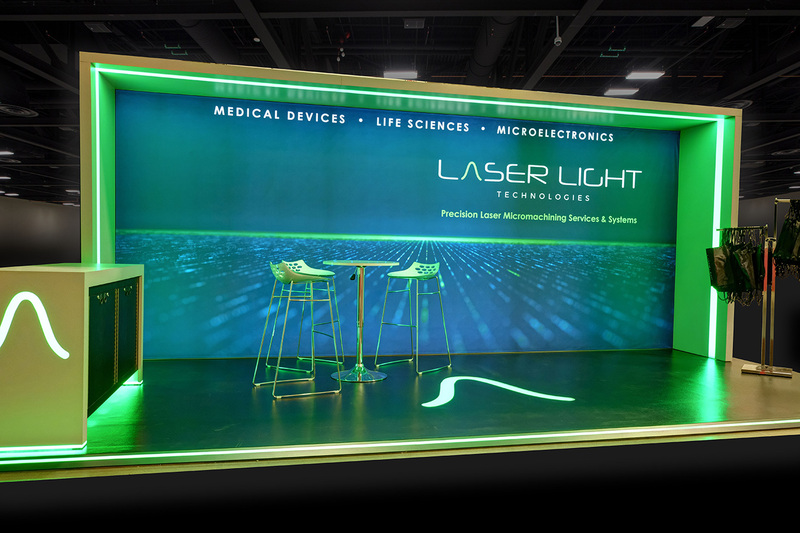 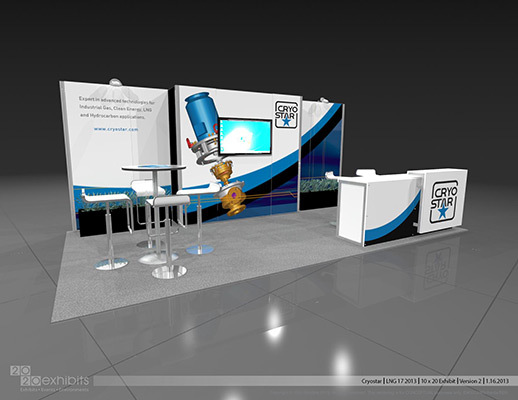 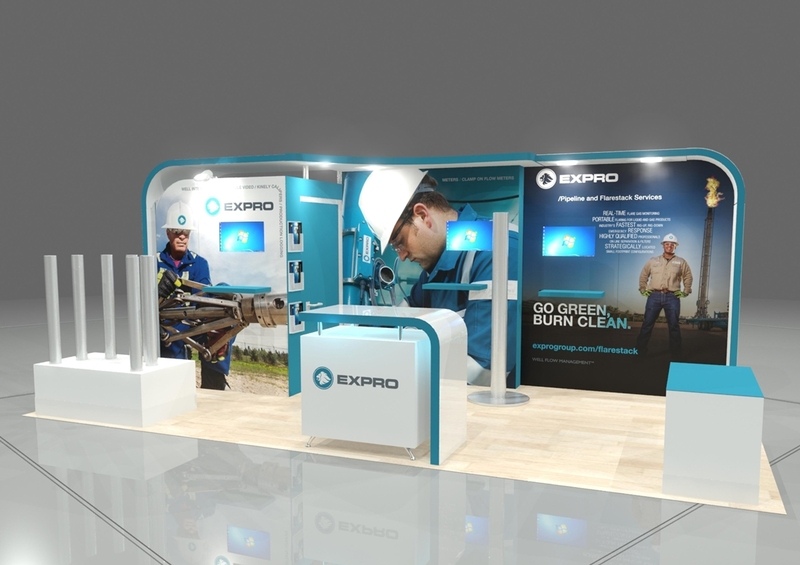 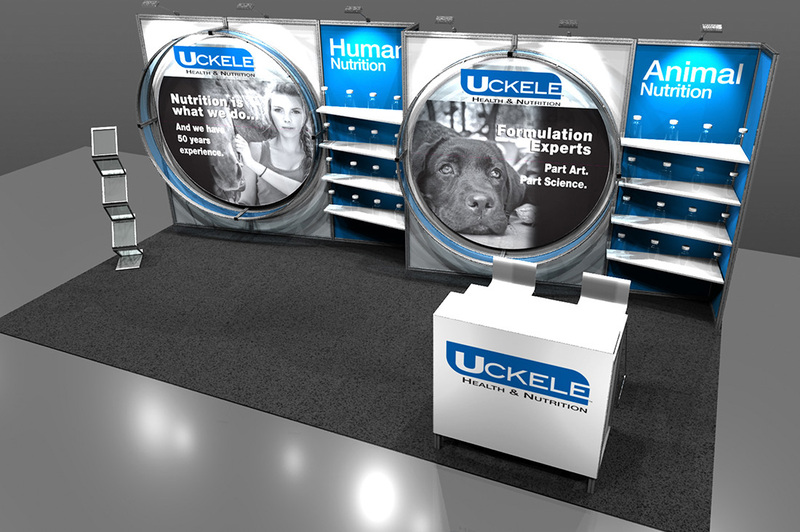 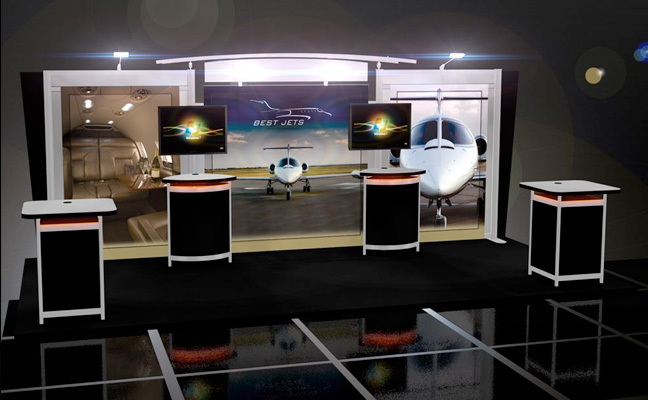 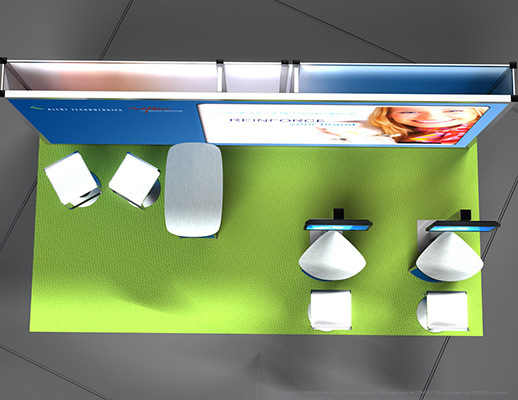 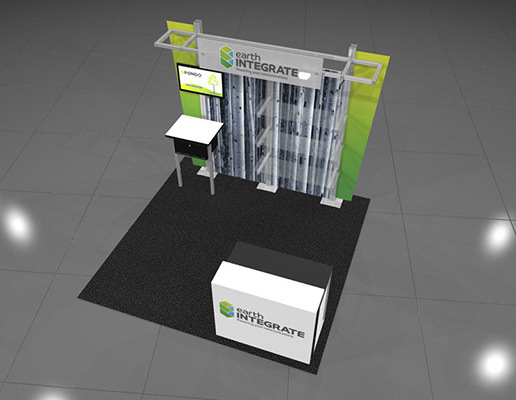 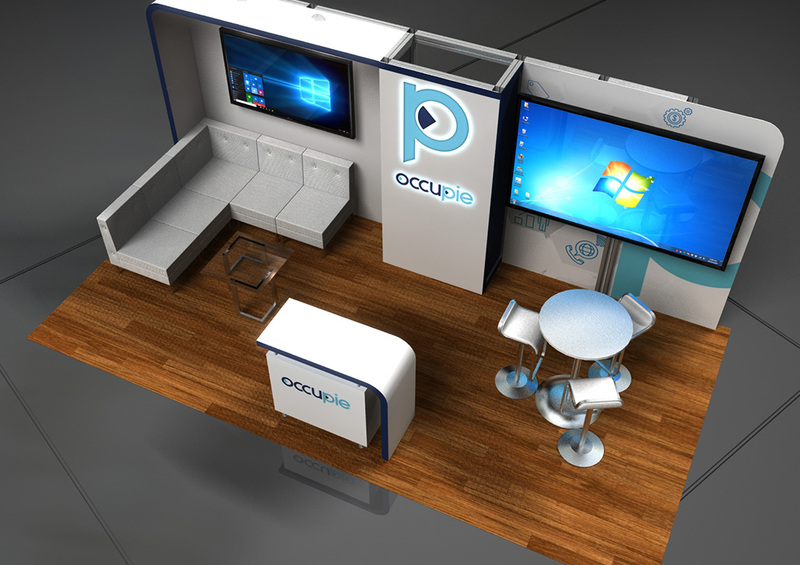 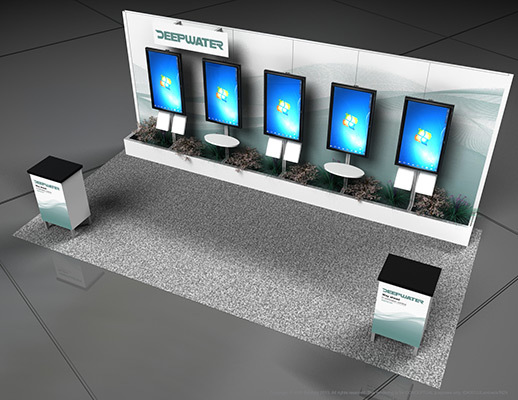 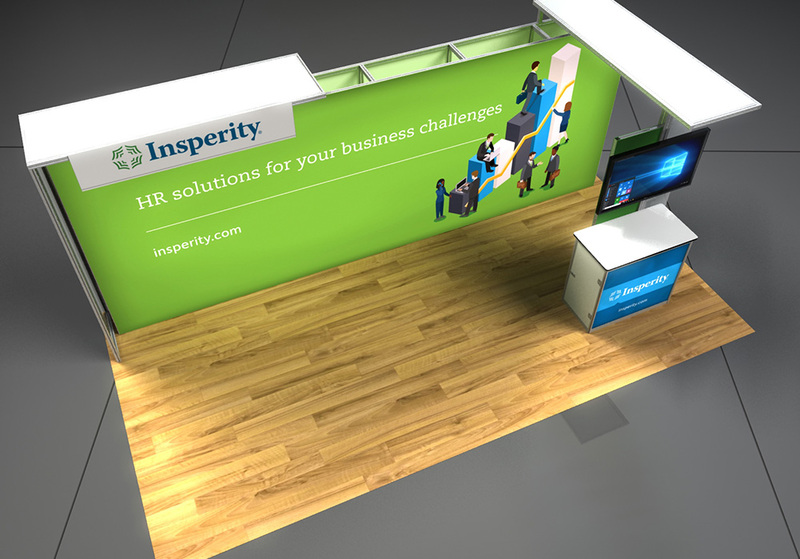 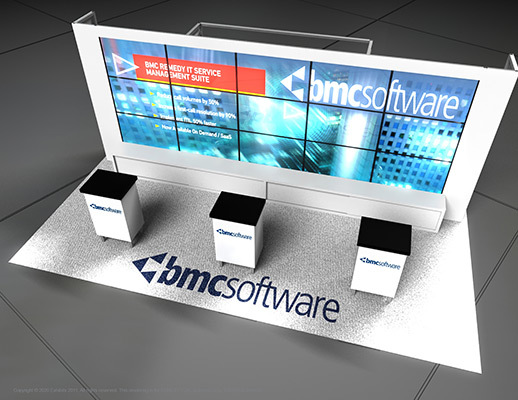 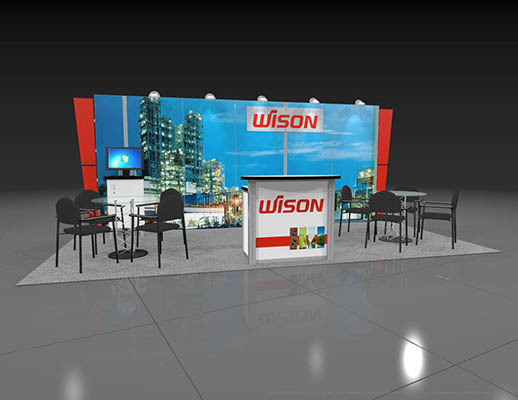 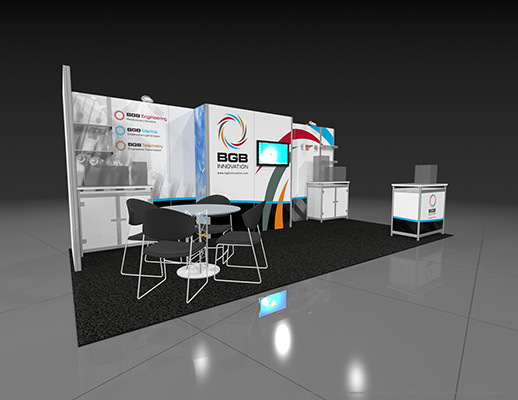 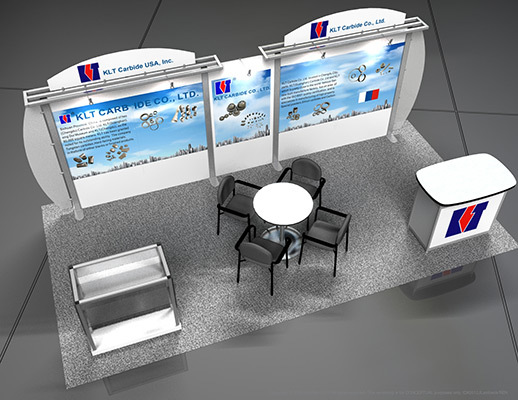 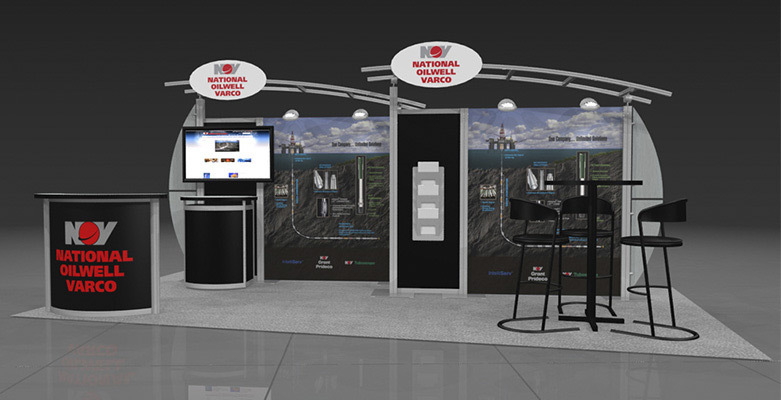 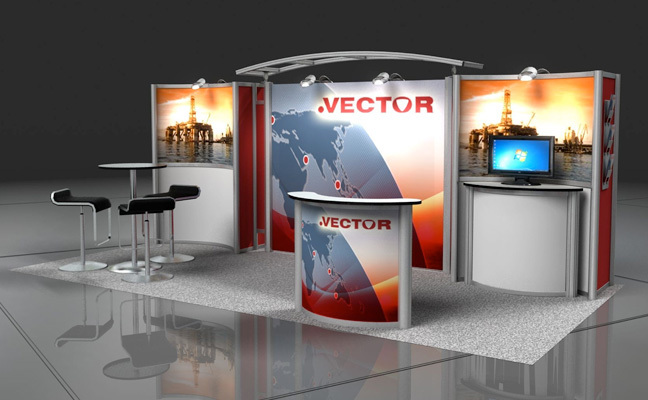 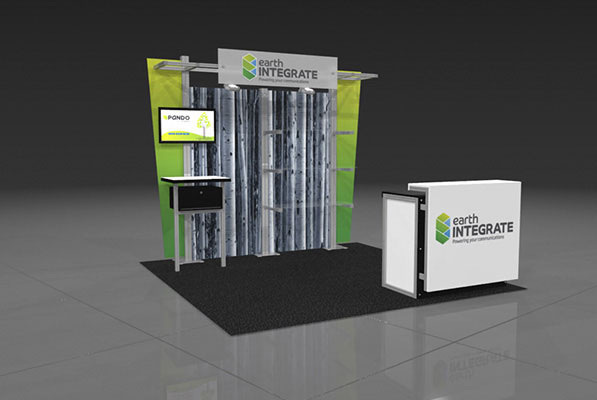 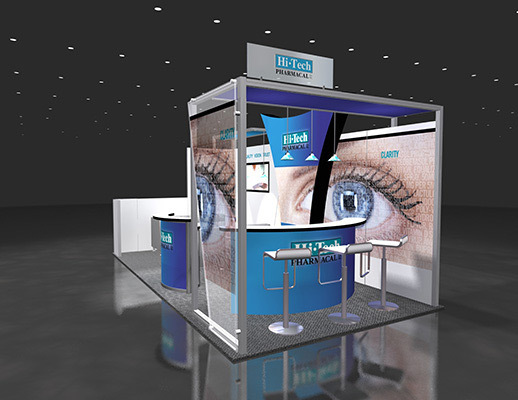 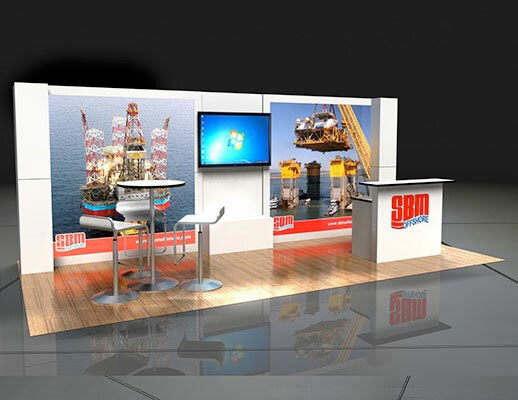 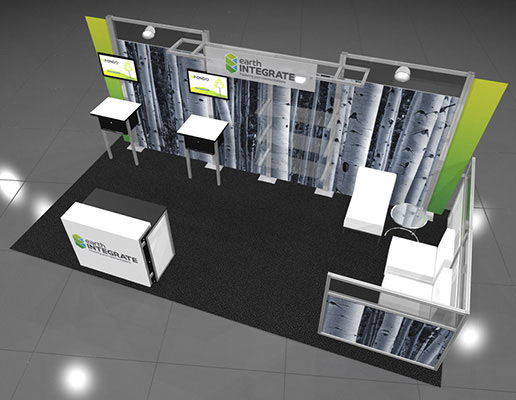 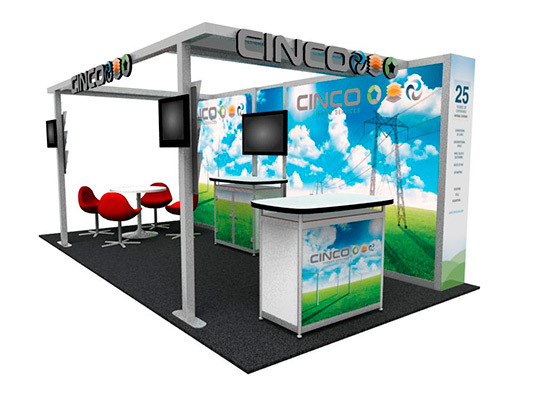 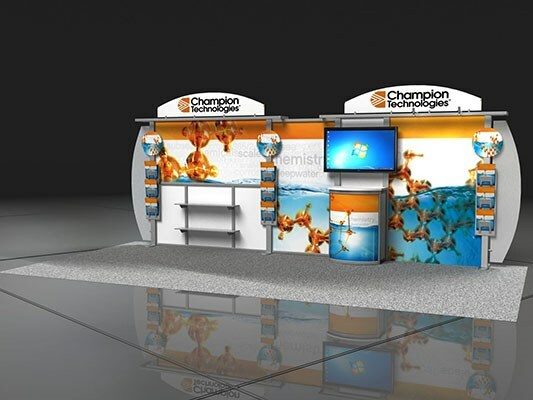 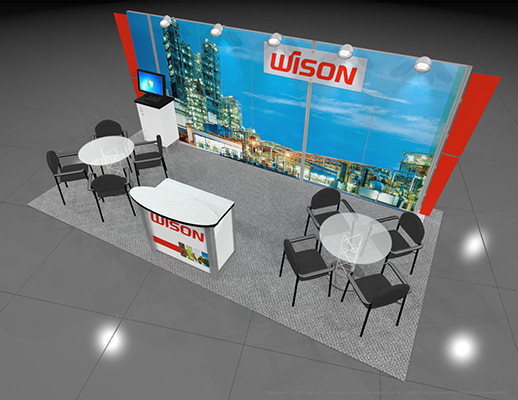 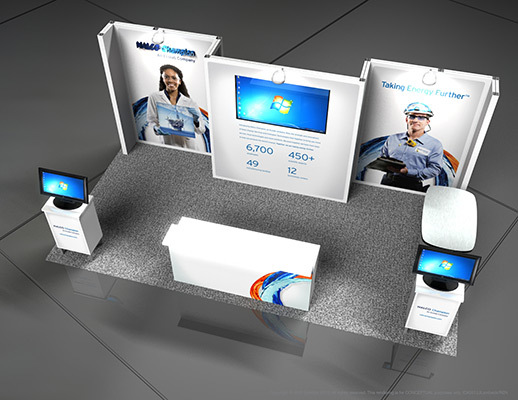 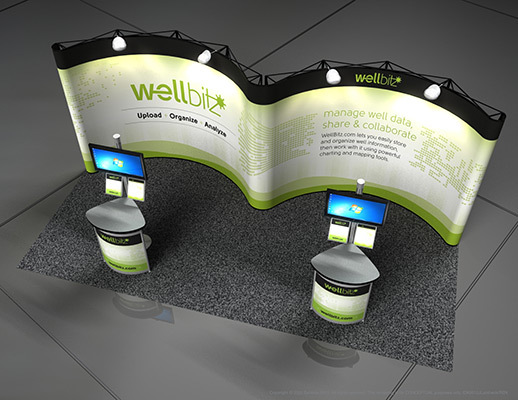 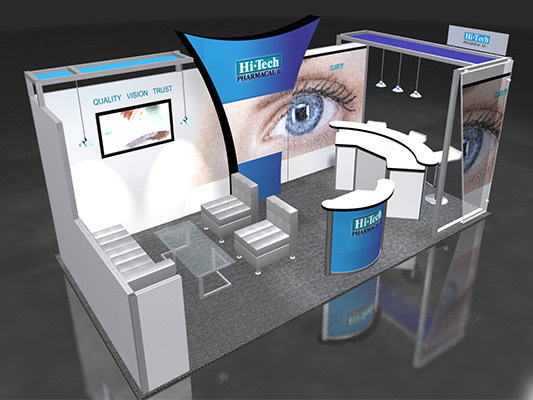 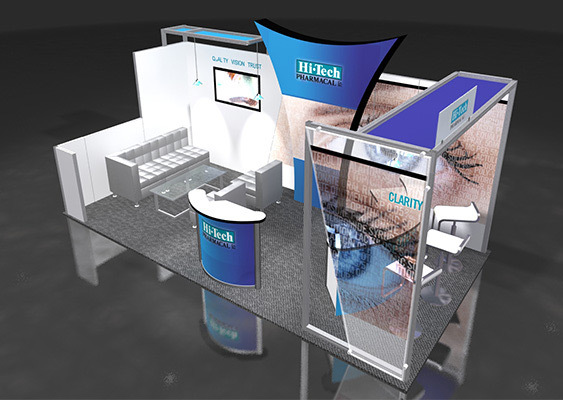 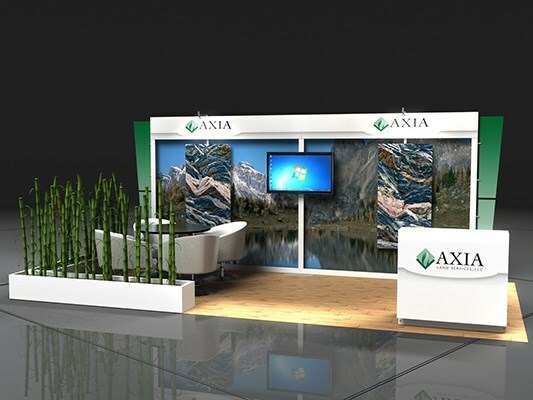 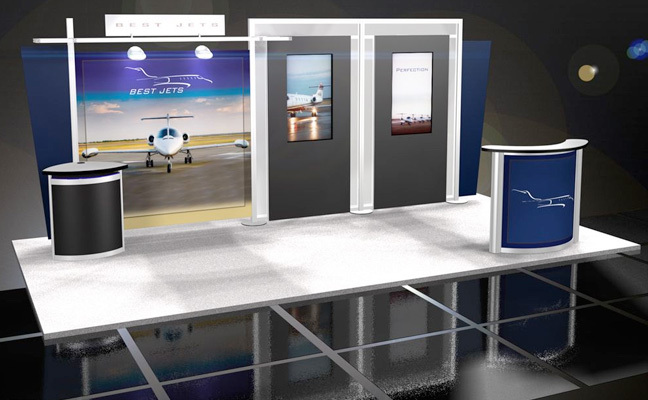 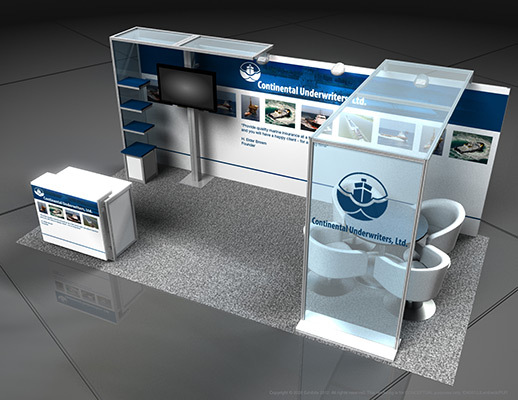 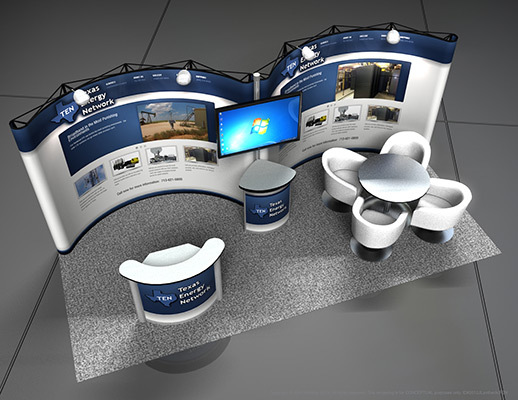 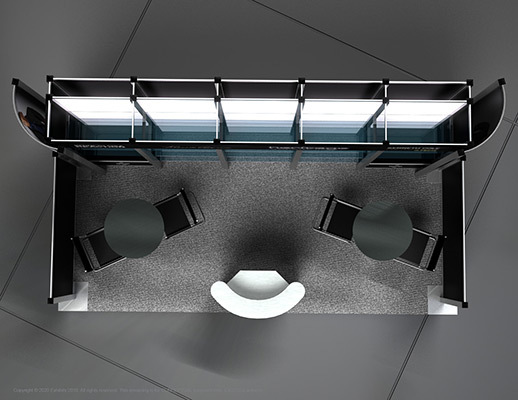 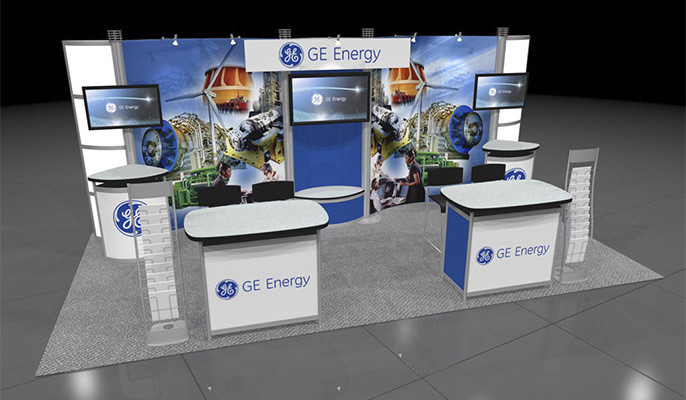 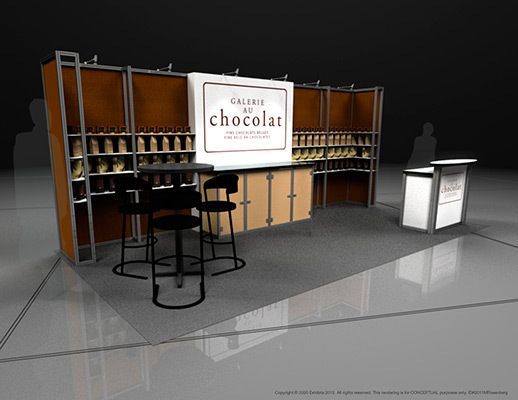 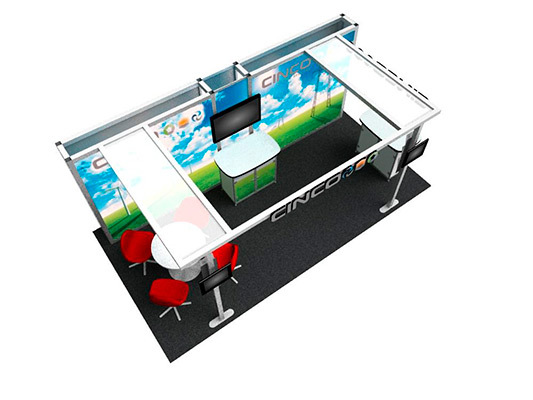 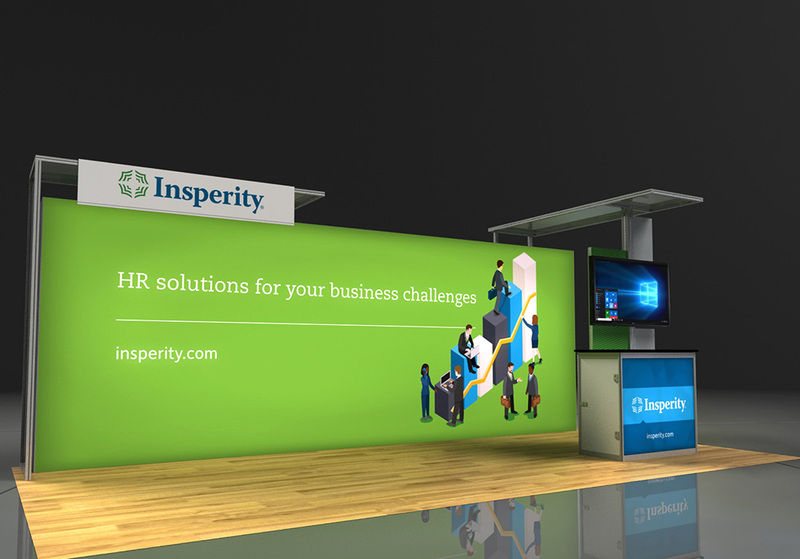 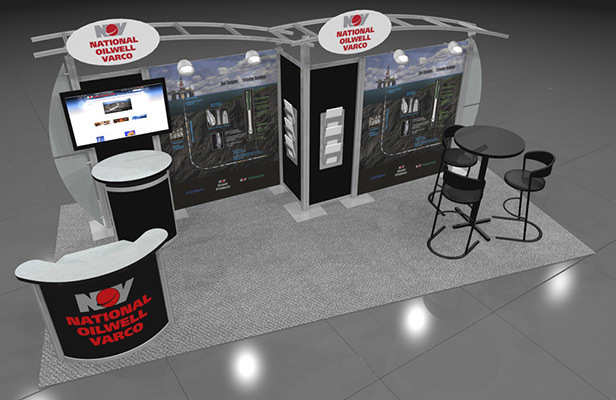 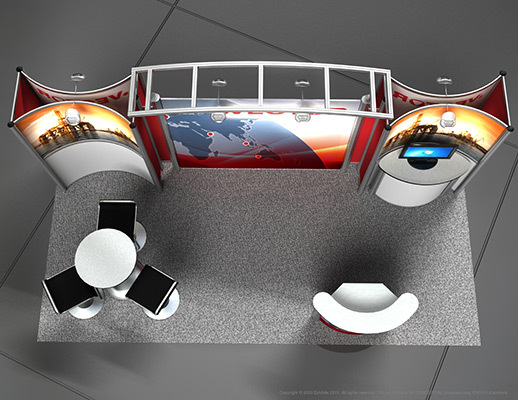 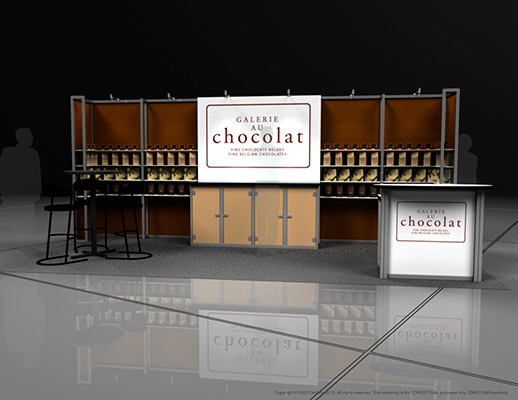 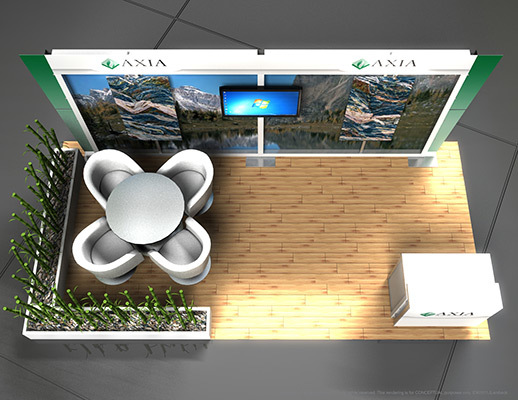 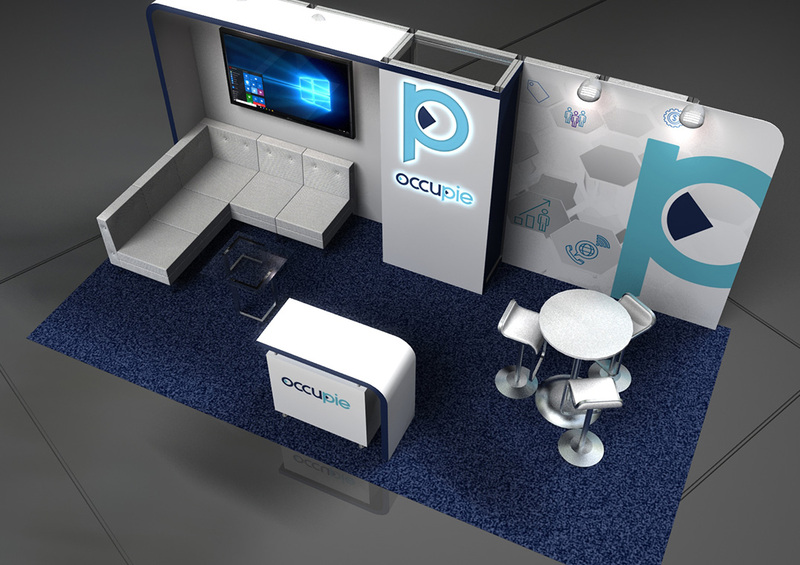 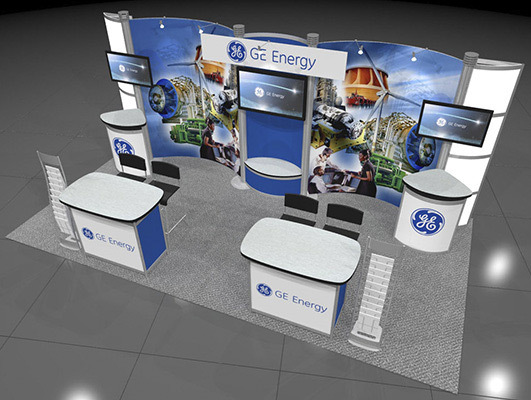 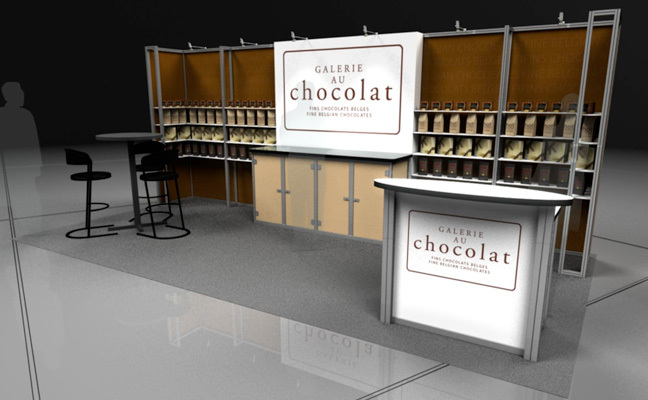 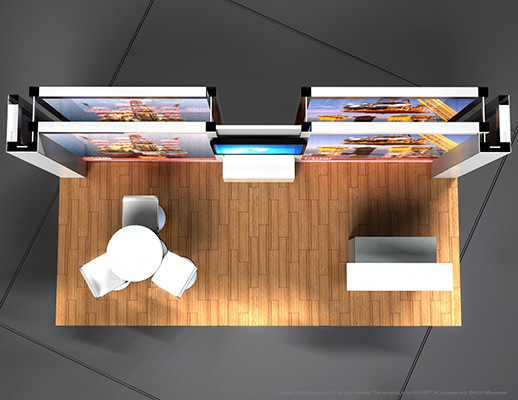 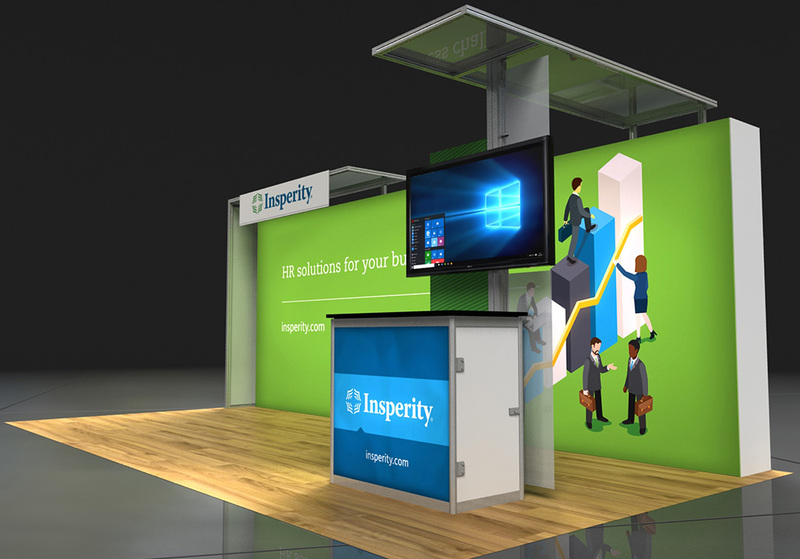 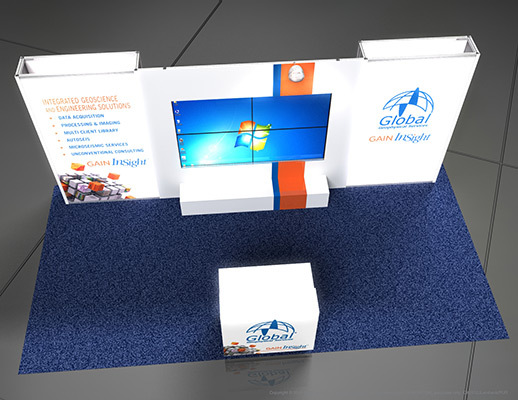 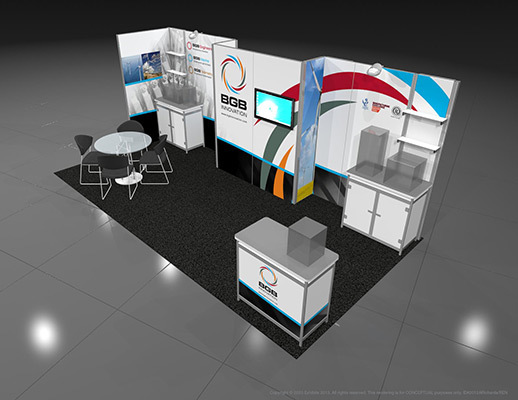 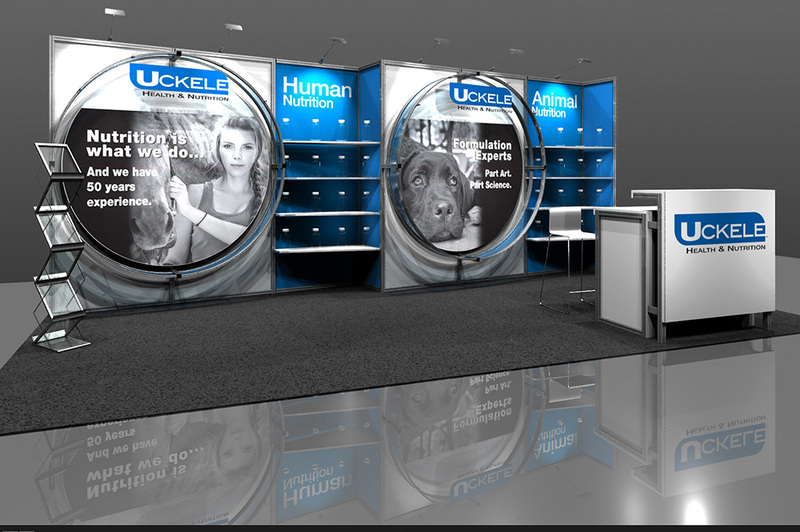 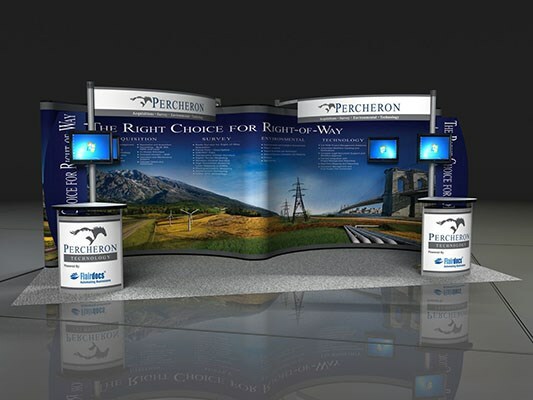 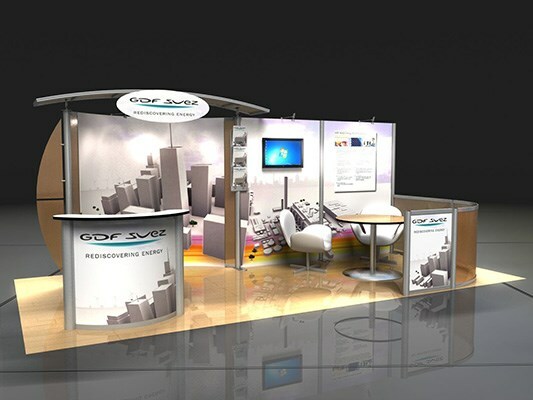 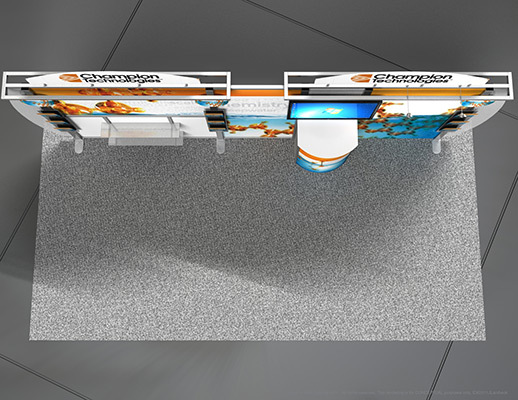 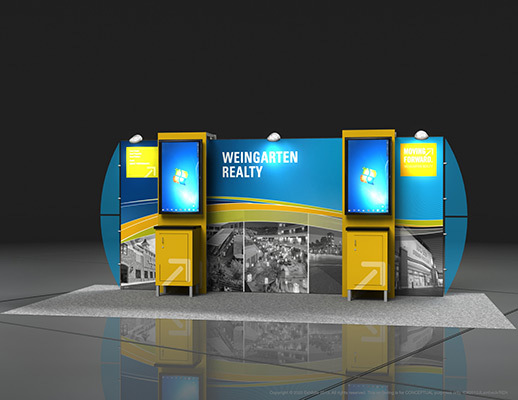 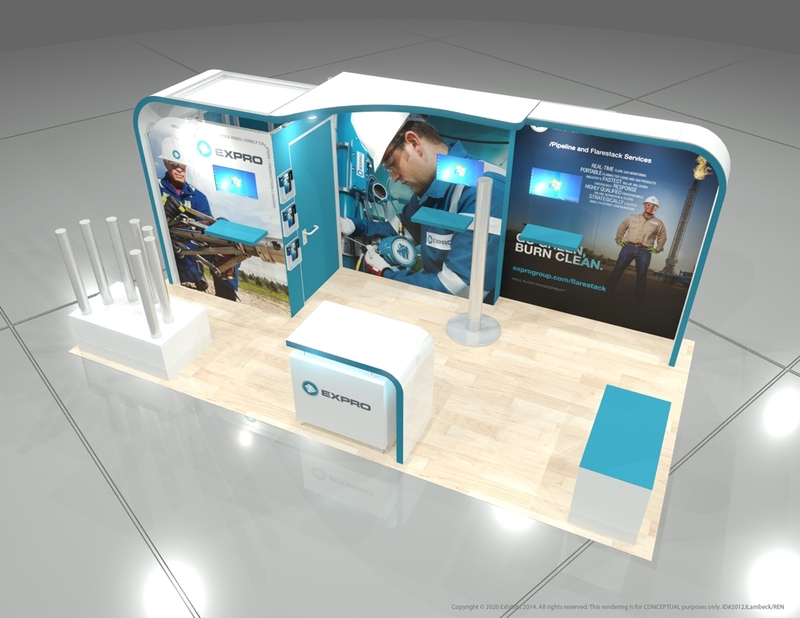 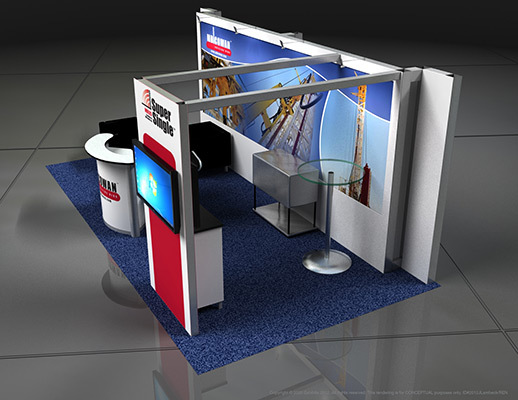 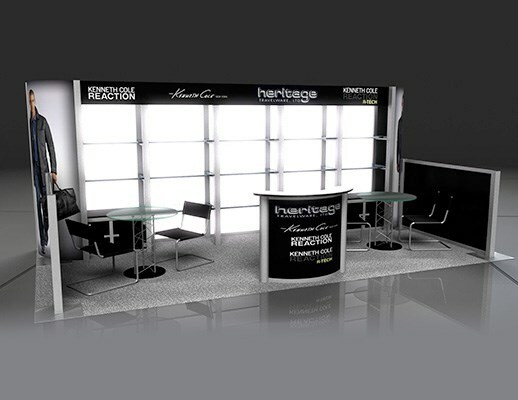 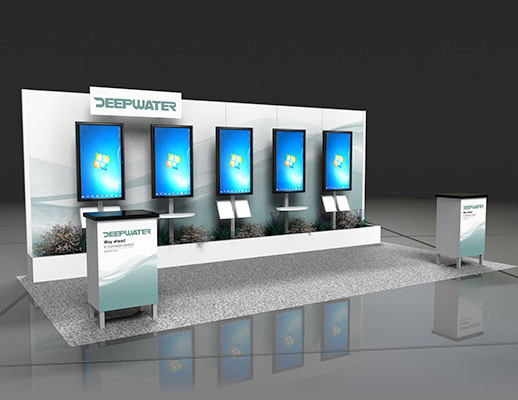 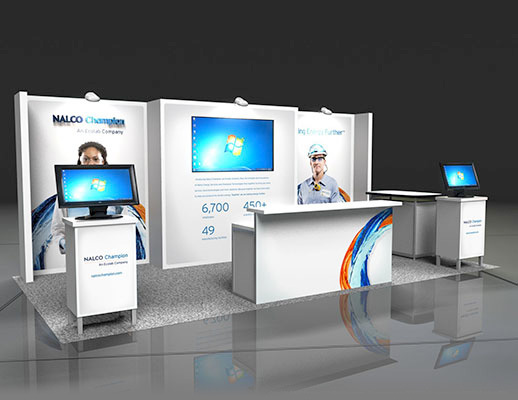 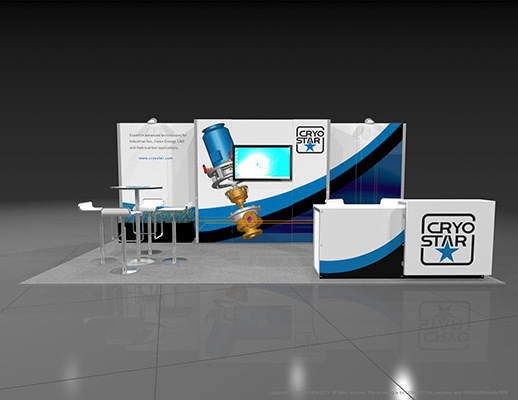 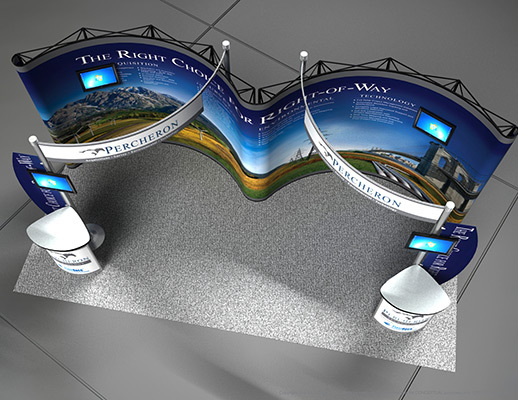 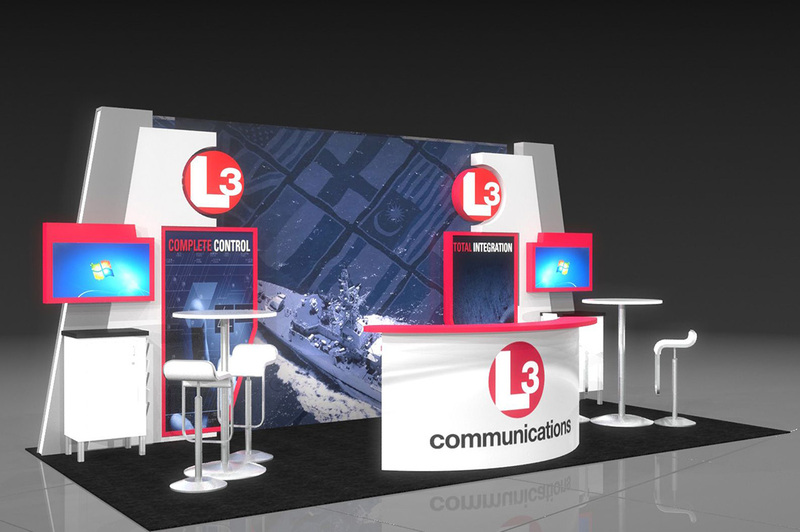 With a modern, sharp tone in the design, this booth allows for either a showcase from a presenter, or as a standalone for attendees to view the information on their own. 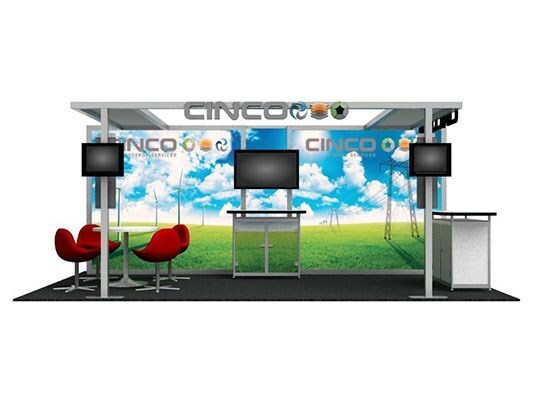 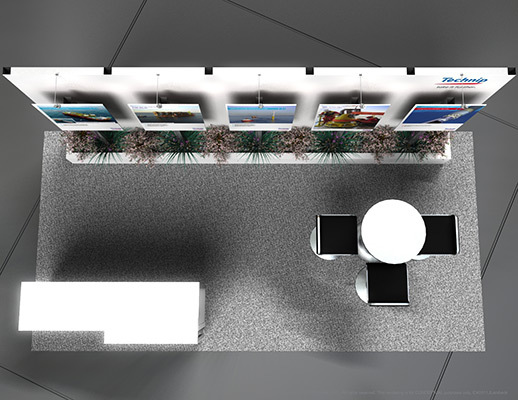 Features include: video wall, graphic backdrops, informational graphics, reception desk, video kiosks, storage cabinets, information stations, dimensional logo and overhead lighting.